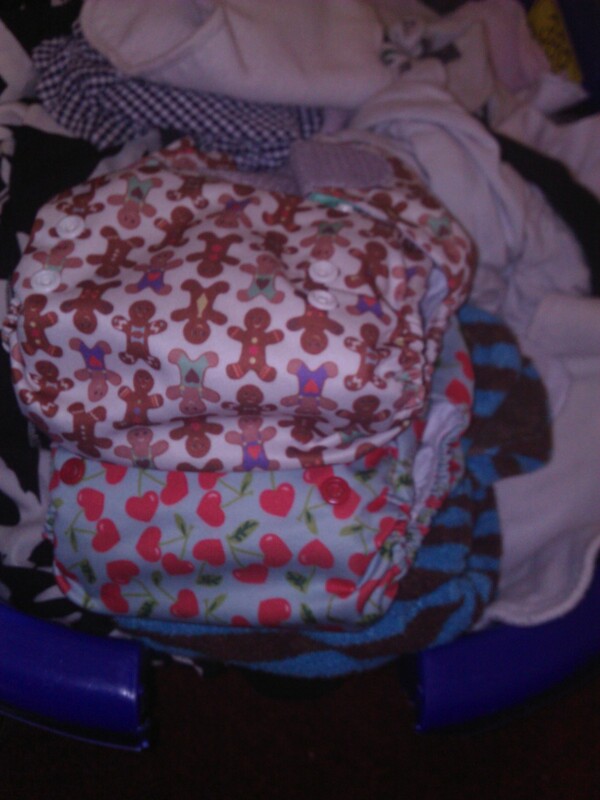 …I wouldn’t change it for anything but wow motherhood isn’t what I imagined! It sometimes feels like a constant round of washing, cooking, cleaning, changing, chasing, feeding, and a flop on the sofa at the end of the day, interspersed with work days, uni days and the odd break from it all to pop to the flicks with Mr B! My least favourite job is easily nappy stuffing, I love them and it’s satisfying to see them lined up but it’s the only part of cloth bumming I don’t like! 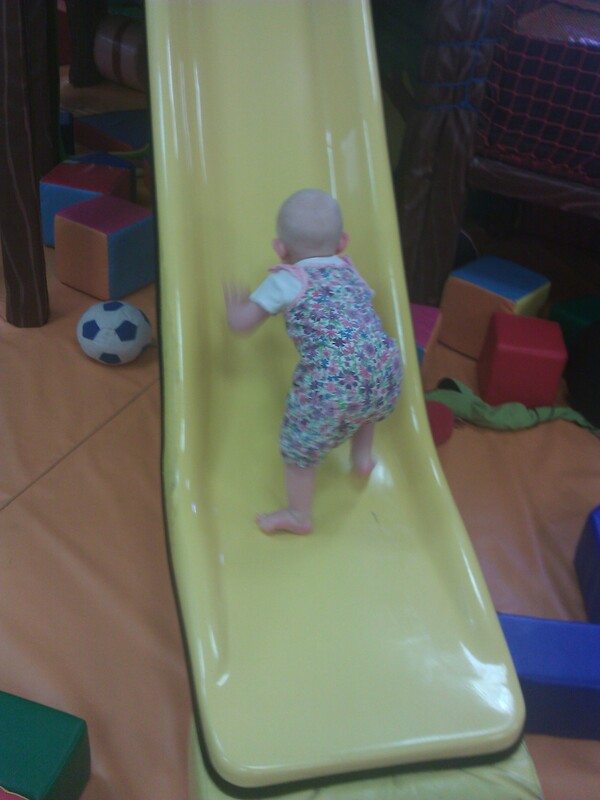 My fave part at the moment is chasing about, I’ve lost 11lb on slimming world and am happy to get my extra ‘body magic’ chasing after this crazy cracker, caught her trying out the slide at softplay today…err pretty sure that’s not how a slide works Joss! Some days I do take it all a bit too seriously, like last night, Joss took 2 hours to go over to sleep and all I could think about was the washing, getting ready for the next day, but most guilt-inducing today my time to relax slipping away, a post by http://londondegani.blogspot.co.uk/ Orli, Just Breathe made me stop. I was behaving like a child, one that knows better and needed reminding to grow up! A welcome wake up call thanks, I have strengthened my resolve to work on my patience and remember that I am not a toddler, I have a toddler, we don’t need two girls throwing their toys out of the pram! I don’t actually know what to say. I liked your post, and thank you very much for reading mine. I was in uni, studying for my MA when I had my first baby. It was tough. Life do seem to get into the laundry cycle sometimes and you find yourself asking how does such small beings make so much laundry??? or dishes, or mess…. Life can’t be a party everyday, it can’t be satisfying every day, and at the end of a long day you sometimes just want your peace and quiet and not a two hour crying/nagging/giggling fest. At the risk of sounding really patronising (unintended) – it’s okay. It’s okay to get annoyed, it’s okay to want your time, it’s okay not to love every minute. Everyone has really bad days. I guess what I was talking about is a bit different, it’s about you not going to uni after you had your baby and saying “oh, I didn’t go to uni because I had a baby”, or “I sacrificed my life / happiness/ ability to do things because of my baby” or “when I had my baby my life ended”. I just wanted to say blaming our kids is easy when they are tiny, but in the end we are the only ones who has to live with ourselves and our choices. Kids are not a “thing” you can use to blame for how you choose to live your life. I really wasn’t saying your not entitled to a tantrum every once in a while. Hell, the only one who slams doors at my house is me…. Thanks Orli, I did pick that up from your post, I guess I was feeling a bit sorry for myself when I read it so I picked up more of the “I miss my old life, I love my baby but I miss x,y,z” and I did need to look at my little girl and remember why we had her and why we so wanted to start a family!